My work took me to Sheffield recently and I took the opportunity to visit Rails of Sheffield. It was really enjoyable to browse around the shop and I was very impressed by the excellent selection of models in all scales and gauges, for all eras, plus scenery and accessories. 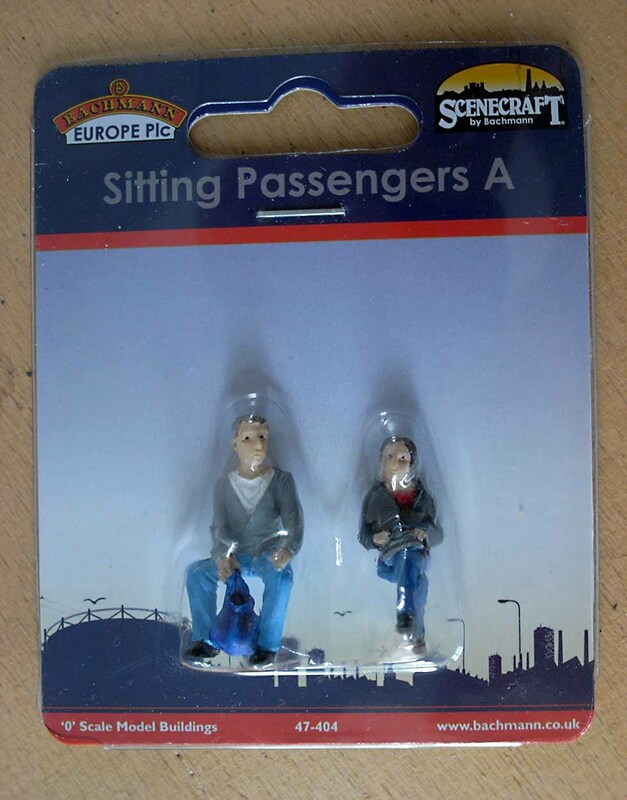 I need to populate my 09 coach and I brought these two seated O scale figures. They are lovely figures and they look great in my coach. However, Bachmann charge over £9 for two figures. At these prices I wont be able to populate a coach, let alone a whole layout! I will need to find a less expensive alternative. Slaters, but they have a lot of cleaning up to do (probably because of age), Preiser are a little on the small size. Omen do a range of metal seated figures also available unpainted. There must be others out there.